Facial plastic surgery in Toms River, NJ, is a great way to revitalize your appearance and retain your youthful look. With Michael Rosen, MD, attaining a better you is a simple and stress-free experience. At our cosmetic and laser surgery center, we take pride in providing personalized care in a secure, safe, and private setting. Leave it to us to help you look your best. You are unique. Therefore, you deserve the treatment that works for you. To that end, our cosmetic surgery team provides a variety of services that can take years off your appearance. We proudly serve both men and women. Visit our state-of-the-art clinic and learn how easy it is to retain your youth and beauty. Our clinic offers a variety of facial plastic surgery procedures that meet your needs. Aging affects everyone differently, which is why we have developed a versatile skill set. We get to know you and your beauty goals. Then, we tailor our services to match them. Thanks to our extensive training, experience, and use of state-of-the-art equipment, you can rest easy knowing that you are in good hands. Whether you are considering nose surgery, an eyelid lift, or any other surgical procedure, you may visit our clinic with confidence. We are well-trained and experienced professionals, and we only want the best for you. To that end, we approach your needs with sensitivity and discretion to ensure you are receiving the right treatment. After all, it is your body–and you deserve to know every option that is available to you. As a full-service cosmetic and laser surgery center and medical spa, we offer a wealth of resources to help you look your best. We are proud to offer non-invasive cosmetic procedures. Non-invasive procedures are a great alternative to surgery, as many of them may be performed quickly and have a very short recovery time. In turn, you will look great and get back to doing what you love as soon as possible. Many of our non-invasive procedures can minimize the appearance of wrinkles and reduce signs of aging. They may also make skin appear more radiant and youthful. We also offer treatments that can make eyelashes fuller and longer. Contact us today to learn more about our facial plastic surgery and rejuvenation treatments. Dr. Rosen has offices in Toms River and Rumson, New Jersey, to serve patients in and around the area. Our nose reconstructive procedures for men and women alike are associated with minimal pain and negligible scarring. Dr. Rosen uses cutting edge technology and believes in discretion and sensitivity when it comes to his patients. If you miss your youthful appearance, Dr. Rosen’s facelift procedure is a great way to get it back. Facelifts performed at our plastic surgery center leave your face looking younger, well-toned, and fresher. These procedures offset the effects that gravity, everyday stress, sun exposure, and time have on the face. This means saying goodbye to wrinkles around the mouth, deep facial creases and folds/fat deposits around the neck. Dr. Rosen’s facelift procedures are done utilizing incisions in hard to see places (behind the hairline), so the only thing people will notice is your amazing looking results. Dr. Rosen skillfully performs both endoscopic and traditional brow lifts. Our endoscopic eyebrow lift procedure is ideal when there is no need to remove excess skin. It is minimally invasive and promises a fast recovery. Whatever your requirements may be, we’ll devise a customized eyelid surgery plan to give you the best results for your skin type and age. Our plastic surgery procedures are offered in a safe, professional, comfortable environment. We will provide you with detailed information about the procedure, the outcome you can expect, and any possible risks. Constricted ear– An ear that is extremely cupped and too small. Lop ear– when the top of the ear bends over. Protruding ears– Ears that appear prominent by protruding too far from the head. Split earlobe– A torn pierced ear hole. If you feel you’re a candidate for Otoplasty surgery or would like more information regarding this procedure, please contact our office today. Dr. Rosen performs cheek augmentation surgery to improve the contours and overall size of the cheeks. Also known as a Malar augmentation, this procedure can be used to highlight your cheekbones or fill in sunken cheeks. Depending on the technique Dr. Rosen uses, (synthetic implants, injectable fillers or natural tissue grafts), he can create subtle or dramatic differences in your appearance. 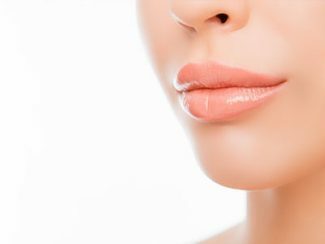 Cosmetic chin surgery, also known as Mentoplasty is the reshaping and enhancement of the chin. A well-defined chin is an essential component of a balanced face. Dr. Rosen can insert chin implants to augment a poorly defined chin or perform a chin reduction for those with a chin that juts out or is otherwise too prominent for the rest of the facial features. Dr. Rosen also performs lip augmentation procedures that create lips that are plumper and fuller while reducing the visibility of wrinkles around the mouth. He uses several methods to augment the mouth, including the injection of collagen or fat cells transferred from another part of the patient’s body as well as the injection of synthetic dermal fillers (Juvederm). Contact us today to learn more about our facial rejuvenation treatments. Dr. Rosen has offices in Toms River and Rumson, New Jersey, to serve patients in and around the area.